Matthew Sweet introduces film music inspired by the battlefield, to coincide with the release of Hunger Games: Mockingjay - Part 2. The Classic score of the week is Rozsa's El Cid. 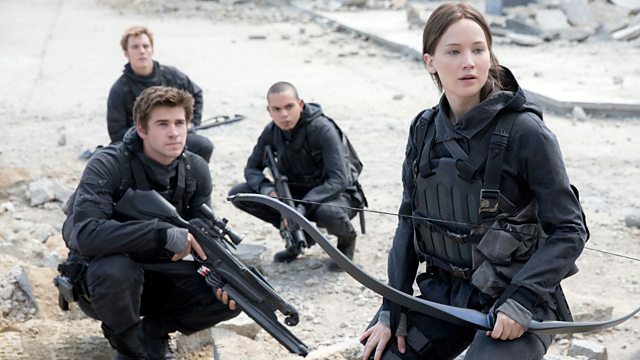 Matthew Sweet looks at film music inspired by the battlefield hot on the heels of the release of Hunger Games, Mockingjay 2. The Classic score of the week is Rosza's El Cid. The programme also includes music from the films Troy, Alexander, Fury, Saving Private Ryan, Atonement, Ran, 47 Ronin, and The Lord of the Rings. Conductor: Howard Shore. Orchestra: London Philharmonic Orchestra. Choir: London Voices. Choir: The London Oratory School Schola. Conductor: James Horner. Orchestra: Valve Studio Orchestra. Conductor: Miklós Rózsa. Orchestra: Symphony Orchestra Graunke of Munich. Conductor: Allan Wilson. Orchestra: Philharmonia Orchestra. Conductor: John Williams. Orchestra: Boston Symphony Orchestra. Choir: Tanglewood Festival Chorus. Conductor: Benjamin Wallfisch. Orchestra: English Chamber Orchestra. Choir: Dunkirk Choir. Choir: Bede College Choir. Conductor: Toru Takemitsu. Orchestra: MGM Studio Orchestra. Conductor: Andy Brown. Orchestra: The London Metropolitan Orchestra. Conductor: James Newton Howard. Orchestra: Studio Orchestra.